Many years ago like everyone else, I was younger and it was easy to sit down at my computer (also typewriter) and create a column. Today it’s a lot different. I always started out with, “Let’s see, what can I write about today in my column?” Ideas would pop in my mind when I began pounding on the keyboard of my computer. Not so today. Well, maybe it’s because I don’t get out as much as I used to. Call it old age? This was the thought that struck me the other day when I met with two people I used to chat with all the time. They would be Rafu Editor Gwen and old friend Iku Kiriyama. In the old days, I could sit and chat with the two for hours. Today, we sit and sip on our coffee, and that’s that. Those reading the number of sentences about our getting together and chatting should get an idea of what I mean. In the old days, if I spent the same amount of time with Gwen and Iku, I could ramble on and on. Oh well, I did enjoy drinking coffee with both of them. I’m sure they were thinking, “Man, old Horse is getting to be an old horse.” No, ladies, I’m not getting to be an old horse, I am an old horse. I guess I’d better get downtown to Little Tokyo. That thought struck me when I picked up my copy of The Rafu the other day and saw the headline, “Bomb Scare Snarls Little Tokyo Traffic.” I read the article and assumed that the situation was not as bad as the headline. Still, something like that is enough to grab people’s attention. In the early days of Little Tokyo, if two “yogores” got into a fistfight, it was big news. But a bomb scare? That’s scary. Oh well, my column was buried on the third page of the newspaper, so I guess the “bomb scare” article got a lot more attention than my blabbing. Hey, let’s face it. Nihonmachi isn’t the Nihonmachi as I knew it a few decades ago. I don’t know if that’s good or bad. As I frequently ask, “What’s the future of J-Town?” In another 20 or 30 years, how much difference will there be in Little Tokyo? For one thing, there won’t be any Nisei left, and many of the Sansei and Yonsei generation will also have faded from the scene. Yeah, my Sansei sons will be as old as today’s Nisei generation. Heck, my Yonsei granddaughters are up there in age. I guess it can be called a “news release,” but Mike Honda, the Sansei congressman from San Jose, met in Seoul with South Korean President Park Geun-hye to discuss enhancing the economic and security partnership between Northern California and Korea. The meeting didn’t draw too much media coverage. I am curious why it went unmentioned except in some smaller newspapers. “The U.S.-Korean friendship is one of our country’s strongest and most important, and I am honored that their government invited me,” he told the media. 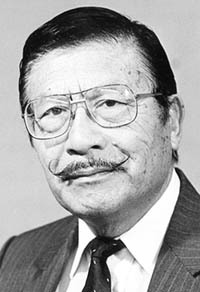 That a Japanese American was involved in the meeting between the two countries was considered a major event. In another news item not caught by the Southern California media, Eric Omuro, 53, of San Jose pleaded guilty before the U.S. District Court to using a facility of interstate commerce with the intent to facilitate prostitution. As part of the plea agreement, Omuro admitted that from April 2010 until June 2014 he owned, managed and operated a website known as myRedbook.com. and also agreed to the forfeiture of the domain names and more than $1.28 million in cash and property as proceeds and other property involved in his unlawful security. The case was investigated by FBI’s San Francisco field office. Okay, while the number of American tourists to Japan continues to fall, who are now making Japan their No. 1 tourist attraction? In a survey of 4,300 Chinese tourists, 39.6 percent said Japan is their number one choice, up from 29.2 percent the previous year. The reason? The weakening of the yen. The Chinese are not only going to Japan to shop but also to buy property. Japanese visa policies introduced in 2014 have helped increase demand. The Chinese people are the world’s largest group of outbound travelers. Last year, the total number of trips taken by Chinese outside the mainland surpassed 100 million at the end of November, according to China’s state tourism administration. Yeah, I run into a lot of people as a newspaper columnist. However, other people are sometimes mistaken for being me. “And what day was that?” I asked. I then showed him a newspaper clipping I happened to be carrying, showing I was at an evening event in Los Angeles on that particular Sunday. I still love horse racing but I just can’t seem to work in any days to get out to the track, especially as far away from Gardena as Santa Anita is located. When someone gives me a tip on a horse with a chance to win (and return good money on the bet), I call a friend that I know is going and ask him to place a bet for me. Yeah, 50 percent of the time, the horse runs like a pig. End of story.